Back in the day before computers, during my short stint as a Realtor, I did A LOT of cold calling and bulk mail advertising to generate leads. I chose a neighborhood I wanted to concentrate on marketing myself in and pulled out the big old hard copy of the reverse directory to find addresses and phone numbers of the home owners and manually created a mailing list, with the help of my typewriter. My oh my how computers have changed lives! The success of marketing depends heavily on the quality of your mailing list. 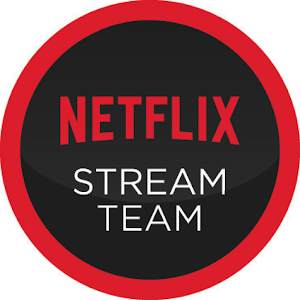 You definitely need a high quality, low cost, up to date, and accurate list. Consider a company like ListGiant, with over 15 years of experience in the direct marketing industry. They offer 4 different types of lists; mailing lists, telemarketing lists, email lists and sales leads in 18 different categories. ListGiant has an a experienced staff standing by 24/7 ready to help you with your next marketing campaign. Disclosure: I received Toopy and Binoo products in exchange for a post about the show. 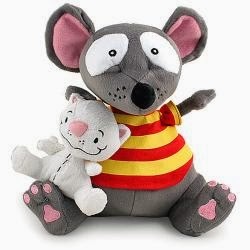 Toopy and Binoo™ is an animated series that follows the adventures of Toopy, a tall, funny and friendly mouse, and his best friend Binoo, a tiny, clever and lovable white cat. Little ones and their families laugh out loud as the charming and endearing friends explore their colorful, whimsical world. Binoo, always logical and perceptive, is the perfect sidekick for Toopy and his vivid imagination and spontaneous zest for life. Talkative Toopy loves to chat about the duo’s fun adventures. Thoughtful Binoo keeps his lips zipped but gets his point across with playful gestures and actions. The series inspires preschoolers ages 2 to 6 to expand their creativity while reinforcing positive values such as friendship, good manners, creative thinking, and humor. Funny in an age-appropriate way, Toopy and Binoo teaches children daily skills and encourages them to use their imaginations. The Toopy and Binoo TV YouTube channel features more than 100 full, five-minute episodes, each with laughs and stories the whole family will enjoy. Follow Toopy and Binoo on Twitter and Facebook. Valentine's Day is FRIDAY people! If you're still scratching your head about what to buy, how about a lovely bouquet of candy to let someone know just how sweet they are! I already had some of the supplies at home and you might too. Packing tape, DUH! Plenty of that left over. Red tissue paper was also a left over from Christmas. A 90% off purchase from Hobby Lobby! The vase was one I had purchased at the dollar store for, you guessed it, $1. These are plentiful at Goodwill as well. No need to spend a fortune on vases, just sayin. 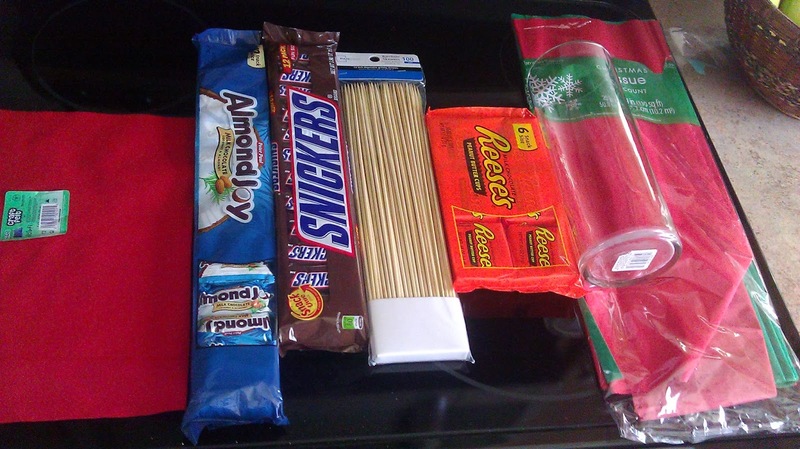 So all I needed to purchase was the candy $1.78 for 10 pieces at my favorite big box store, a sheet of red felt 33 cents, and the bamboo skewers 97 cents for 100. Grab a skewer and shove that baby into your heart . . . umm your felt heart. In the bottom and out the top. 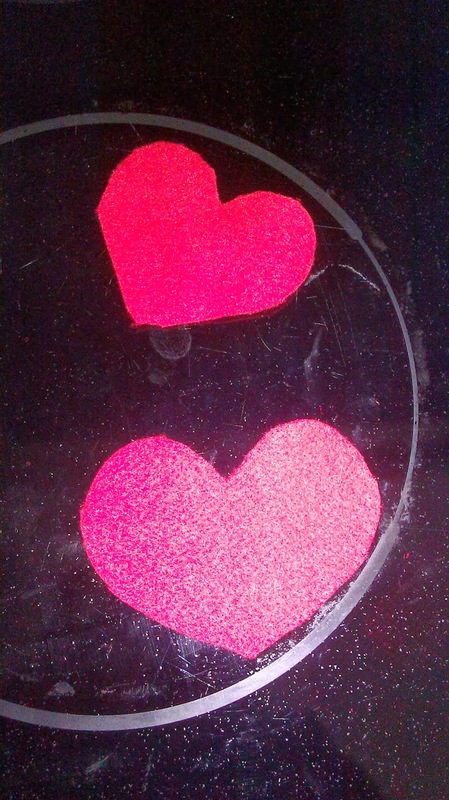 BTW I got 9 hearts from that one piece of felt. 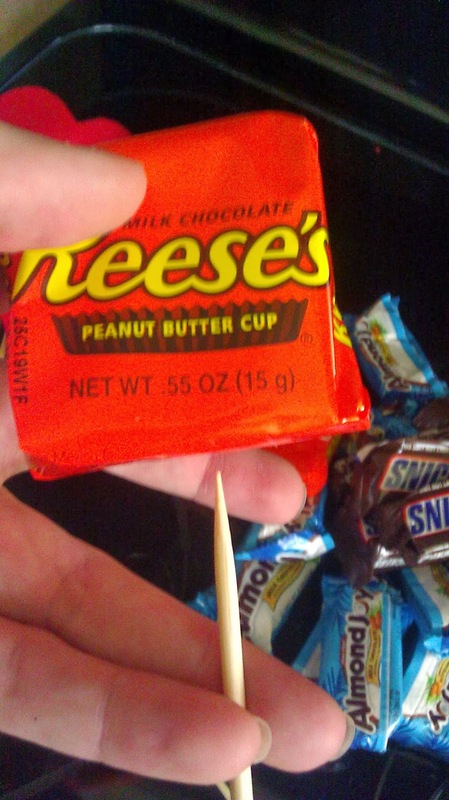 Poke one skewer into each piece of candy you're going to use. Like this. 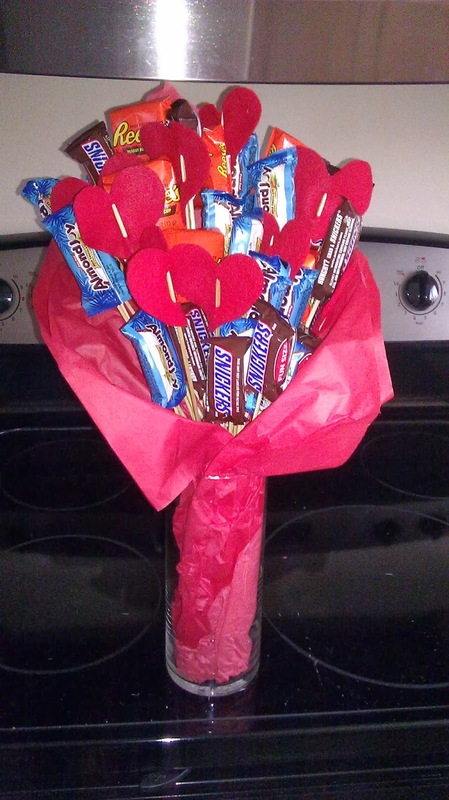 Lay some tissue down and start arranging your candy and hearts in the center, diagonally, staggering them so the height varies, just like a floral arrangement. 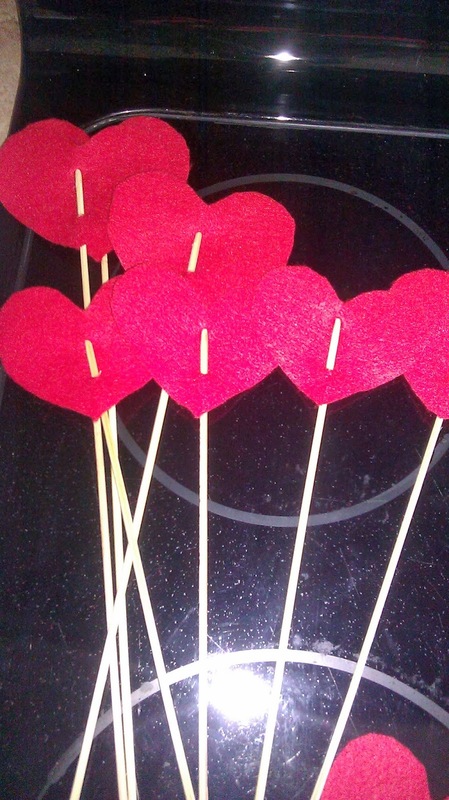 I did this in layers and used the packing tape to wrap the skewers at the bottom so they'd stay put. Once I got the desired look, I wrapped more packing tape around all the layers. Fold in the corners of the tissue to cover that mess of a tape job you just made. Scrunch up a few sheets of tissue and shove them in the bottom of the vase. Take your bouquet and add it to the vase, rearrange skewers as needed and presto, you have a sweet surprise for your favorite Valentine for about $10! I think Whynot is gonna love it and I hope he shares the Reese's with me!